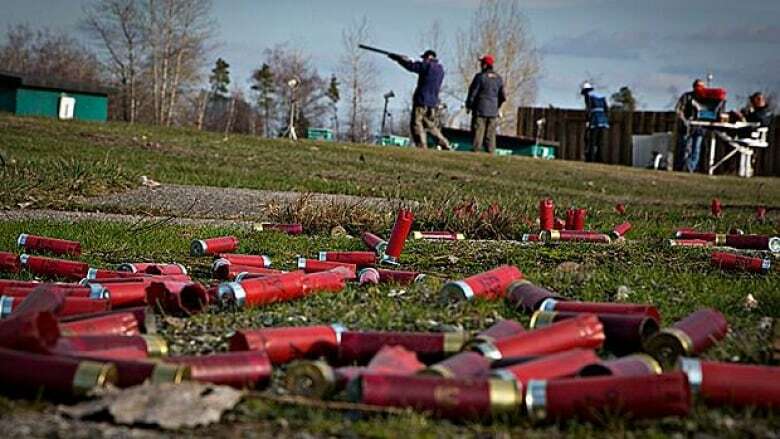 Quebec's Court of Appeal has sided with the federal government's argument that the national long-gun registry information shouldn't be handed over to the province to create its own database. That moves the government closer to destroying the Quebec data, which was preserved last year by the court order after legislation was passed to scrap the federal registry and the records contained within it. The federal government has already destroyed the data on 5.6 million rifles and shotguns registered in other provinces. The Quebec records at issue in this ruling cover an estimated 1.6 million rifles and shotguns. The ruling issued this morning says a lower court erred last year in its finding that Quebec contributed to the federal registry and that it was the result of a partnership between the provinces and the federal government. "Quebec has no property right to the data in the [Canadian Firearms Registry]," the appeal court decision reads. "The data does not belong to Quebec, and the provinces have no control over it." "The Parliament of Canada, which considers the data at issue to be pointless and inefficient and believes that its existence in a registry infringes the right to privacy, can certainly decide to stop compiling and preserving that information," the ruling says. The judgment found that the Quebec government's claim that it contributed to the registry was inaccurate and that the information it provided concerns gun licence holders. It also ordered the provincial government to pay the court costs. Quebec Justice Minister Bertrand St-Arnaud quickly issued a statement after the judgment was released stating that the provincial government would file an appeal and will request an injunction to ensure the data already preserved by the previous court ruling is not destroyed in the interim. "There is a consensus in Quebec concerning the registration of firearms," St-Arnaud said in the statement. "All political parties represented in the national assembly defend this position and strongly oppose the federal government's decision to abolish the firearms registry." Federal Public Security Minister Vic Toews said he was "pleased" with the ruling. "Our Conservative government is committed to stand up for the rights of law-abiding hunters, farmers, and sport shooters in all regions of the country, including Quebec," he said in a release. The Quebec government has 15 days to appeal the decision. The ruling orders the federal government to wait that long before destroying the Quebec records. The appeal court judge did not side with the lower court's finding that the principle of "co-operative federalism" could be grounds to prevent the federal government from proceeding to implement a law it has passed. Thursday's ruling quotes the Supreme Court's Securities Act reference case decision, writing that "the 'dominant tide' of flexible federalism, however strong its pull may be, cannot sweep designated powers out to sea, nor erode the constitutional balance inherent in the Canadian federal state." The Coalition for Gun Control called the decision a "setback" in a release issued Thursday. "We are confident that the Quebec government will continue to fight to protect its citizens where the federal government is failing," said the group's president, Wendy Cukier. "Regrettably, other provincial governments did not listen to safety experts when they warned of the dangers of the federal government's legislation and destruction of records on registered firearms. They are already paying the price." Cukier's statement cited a recent statement by Toronto police Chief Bill Blair that his department's gun seizures were down by nearly 40 per cent last year, in part because the federal long-gun registry information is no longer available. Critics of the federal long-gun registry point out that in 2005, the auditor general's office estimated the registry cost taxpayers more than $1 billion. But gun control advocates say that scrapping it saves the federal government only $2 million per year, and the government incurs other costs now to make up for the loss of the information. The federal government's 2012 legislation to scrap the long-gun registry fulfilled a longstanding campaign promise for Harper's Conservative government. Toews used his statement Thursday to slam opposition parties' support for the former registry. "Unlike Justin Trudeau's Liberals and Thomas Mulcair's NDP, our Conservative government will continue to put the rights of law-abiding Canadians first while introducing legislation that actually cracks down on violent crime," the public safety minister's statement said. In a statement of her own, the NDP's justice critic, Françoise Boivin, expressed disappointment in the decision. "New Democrats have always put listening to victims of gun crimes first – and we believe that access to existing data on guns is an important tool to help any province that wants to track non-restricted firearms," the statement said. "It is unfortunate Conservatives have persisted in this costly court battle, using taxpayer dollars, to fight access to this data," the NDP critic continued. "We are in favour of preserving data taxpayers already paid for and urge the Conservatives to stop politicizing such an important public safety issue." A series of court injunctions and a lower court decision had protected the Quebec records, which the province still hopes to use to set up its own registry. Quebec has argued it would be cost-prohibitive to start setting up a new registry from scratch.